Fiber which is also known as roughage is the indigestible part of plant foods that pushes through our digestive system, absorbing water along the way and easing bowel movements. There are two types of dietary fibers, soluble and insoluble. Soluble fiber changes as it goes through the digestive tract, where it is fermented by bacteria. Soluble fiber absorbs water, and as it does so becomes gelatinous. Insoluble fiber goes through the digestive tract without changing its forms. Filling your diet with fiber-rich foods delivers a host of benefits to your heart. Fiber intake is significantly associated with lower risk of coronary heart disease in both men and women. Consuming an abundance of whole grains, fruits and vegetables can improve your lipid profile, promote weight loss and lower your diabetes risk. Whole grains, fruits and vegetables contain varying amounts of soluble and insoluble fiber. Soluble fiber is found predominately in oats, oat bran, citrus fruits, strawberries, apple pulp, beans, peas and psyllium. This type of fiber dissolves in water, forming a gel that helps slow the absorption of nutrients, such as sugars and starches, in your stomach and small intestine. Insoluble fiber, found in whole-grain breads and cereals, wheat bran, barley, rye, brown rice, nuts, apple skin and some vegetables, adds bulk to your stool and speeds up the transit time of food through your gastrointestinal tract. Elevated low-density lipoprotein, or LDL, cholesterol can cause plaque build-up on the artery walls leading to your heart. Over time this build-up causes arteries to become hardened and narrow. A heart attack results when there is a complete blockage. 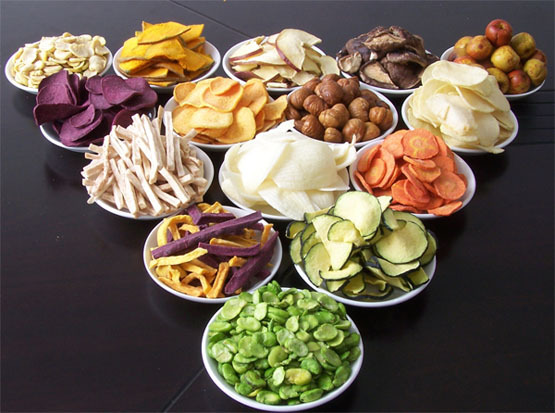 However, striving for 25 to 35 grams of dietary fiber daily can keep LDL levels in check. Diabetes mellitus, a disease characterized by elevated blood sugar levels, results when your body either does not produce enough insulin or insulin is not functioning well. People with diabetes are twice as likely to develop heart disease as compared to those without diabetes and they tend to develop it at an earlier age. Current research suggests that consuming a diet, high in soluble fiber may help control blood sugar levels by slowing the absorption of sugars in the gut. Maintaining healthy weight is an important step in keeping your heart healthy. A fiber-rich diet may help promote weight control. Higher intake of whole grains — about three servings per day — is associated with lower BMI and reduced central adiposity, or abdominal fat. BMI, or body mass index, is calculated from your weight and height, and is a measure of body fat. Foods high in fiber increase satiety, making you feel fuller longer. They are also less energy-dense, offering more nutrients for fewer calories. Adequate hydration is important when consuming a fiber-rich diet. Drinking 6 to 8 cups of water daily can help prevent constipation. If you’re considering a fiber supplement, speak to your physician or health-care provider first to ensure it is a safe choice for you. Ditto,I agree with your opinion, thank you!If anyone is there a better idea, saying that out and share,tkx!